The very first important discruption to mention is the launch of the Internet and Cloud Computing that have changed our way of interaction in the business world. All activities, from purchase, shipping, billing to payment, are done automatically and online between enterprises and their customers, partners, consumers in just a few minutes instead of several days as before. This online environment also encourages and strengthens enterprises’ involvement in the supply chain and collaboration with their customers. Change the way we work: The Internet has undoubtedly changed the way we work. We’re living in a mobile society where we can access our system and data everywhere, anytime, on any device. The second major breakthrough is the emergence of business management software solutions that prove efficient, especially ERP solutions. 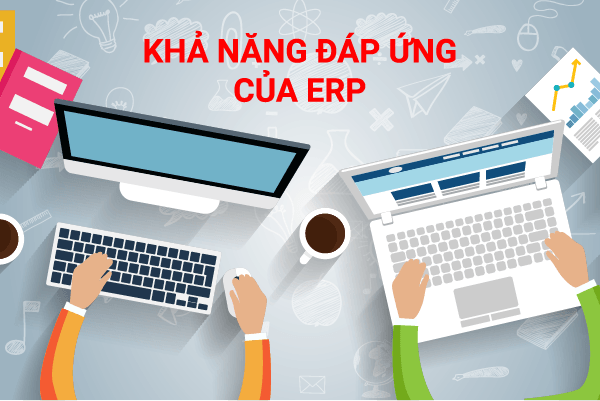 Nowadays, the customers with moderate budget can get access to high-end ERP features that used to be available to large companies. It’s owing to affordable cost of the software solution. Integrated applications have become necessary in today’s business context, and they are available at reasonable prices. What’s more, in today’s business world, enterprises are running into a serious problem so-called DISCONNECTED DATA AND BUSINESS. This is the problem most of the enterprises are encountering nowadays. 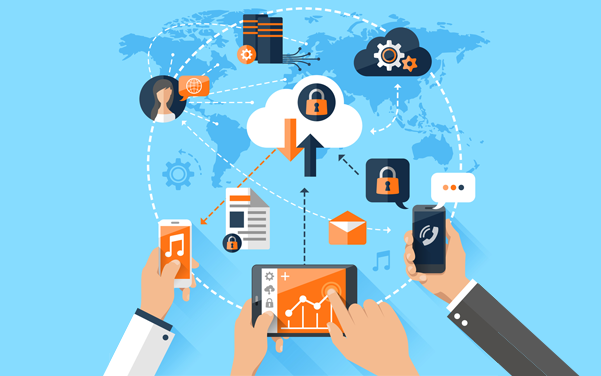 In fact, enterprises employ different kinds of software for their departments, which results in unconnected data and workflows as well as the risks of data redundancy and errors. Also, using applications and software in traditional ways (off-line and on-premise) makes it difficult to connect offices, factories, and employees together, hinders interaction with customers and partners. Cloud ERP, a modern ERP system, will thoroughly deal with the above-mentioned challenges and difficulties. It will integrate all of these isolated applications into a single unified business management system. Acumatica Cloud ERP solution was created for this purpose. Cloud ERP Acumatica is an all-in-one Cloud ERP solution for your enterprises. It helps you with financial, warehousing, manufacturing, sales, project management, CRM and more. Cloud ERP Acumatica is based on the world's best mobile and cloud computing technologies. Consisting of integrated applications, it offers enterprises great ERP and CRM solutions. Specifically, it helps streamline and optimize processes to fit all of business operations, thus giving a boost to business growth. Each integrated application is fully adaptable to the mobile platform, so accessible from anywhere on any device at any time. 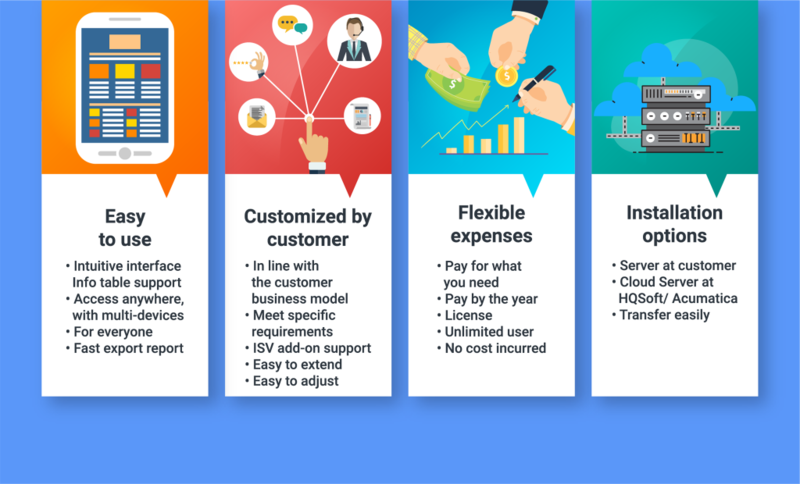 Cloud ERP Acumatica offers flexible license and deployment options and can be well adapted to business changes and growth. Gain greater insights into your organization with self-service tools from Acumatica to generate reports and analyze trends easily and in real time. Integrate production planning, material purchasing and shop floor scheduling with customer management, sales orders, inventory, purchasing, and accounting for real-time coordination of multi-plant activities. Improve margins and project control from estimating through close out on construction projects using construction accounting software from Acumatica.